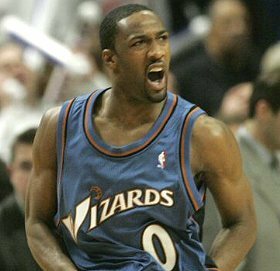 *NBA commissioner David Stern has suspended Gilbert Arenas for the rest of the season, according to the reports, and the Washington Wizards’ star has reportedly told associates that he will not appeal the league’s decision. 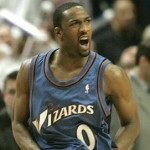 Arenas had been suspended indefinitely without pay in early January for his role in an incident with teammate Javaris Crittenton in which both Arenas and Crittenton brought guns into the team’s locker room at Verizon Center in Washington, D.C., a violation of both the league’s constitution and of the city’s laws requiring any guns in the city be licensed in Washington and kept in the home. Arenas brought his guns from his Virginia home. Crittenton was also suspended for the rest of the season in the decision handed down this afternoon. According to NBA.com, the suspension will cost Arenas the final 50 games of the season and an approximate $7.4 million of his $16.1 million salary this season. Arenas, who had already spoken with league attorneys investigating the incident, met with Stern and National Basketball Players Association executive director Billy Hunter in Stern’s office for about an hour this morning before departing. He is awaiting sentencing in D.C. Superior Court March 26 after pleading guilty Jan. 15 to one felony count of carrying a pistol without a license, a crime whose punishments range from probation to a maximum five years in prison. Prosecutors, however, recommended that Arenas only serve six months to Superior Court Judge Robert E. Morin, who will ultimately decide Arenas’ fate. Morin set a sentencing date of March 26, before which he will receive a report on Arenas from the District’s court services division. Prosecutors and defense attorneys will each make a recommendation on how much jail time Arenas should serve to Morin. He brought it upon himself dog gun. Without pay! Well he’s got 8 or 9 mill walking around on his wife’s hand so he still has more money than I do.